Lazio will be looking to kick off their Europa League campaign in style when they host Apollon at their Stadio Olimpico on Thursday evening. The Biancocelesti were more than unfortunate not to book their place in the Champions League, with the team suffering a loss to Inter on the last day of the 2017/2018 season. The club chiefs did well to keep hold of important midfielder Sergej Milinkovic-Savic in the summer transfer window and seeing that Lazio are a real force to be reckoned with at home, we believe that there is a big value in betting on the Biancocelesti. Apollon, on the other hand, did well to eliminate Basel in the play-offs, but seeing that they suffered five defeats in previous six away games in the Europa League, we are tempted to put our money on the hosts this time out. Apollon are a Cypriot football club based in Limassol. The Kianolefki wear blue shirts and dark blue shorts when playing at home ground and they welcome their rivals at Tsirion Stadium. The venue can hold up to 13.331 spectators and it was opened in 1975. 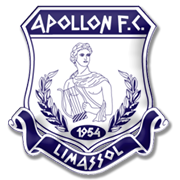 Apollon Limassol won their first domestic trophy in the 1990/1991 season, with the team finishing the campaign three points clear of second-placed Anorthosis Famagusta. The Kianolefki won their second Cypriot First Division trophy three years later (1993/1994) and they had to wait 12 years before they clinched their third and last domestic title (2005/2006). Speaking of the Cypriot Cup, Apollon Limassol won their ninth trophy in the competition in 2017, with the team beating APOEL in the title game. 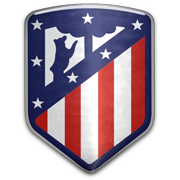 The club was founded back in April 14, 1954 and it has to be noted that they suffered a loss in each of their eight games in their debut season in the second division.